African padauk guitar top type 'B' grade A*. 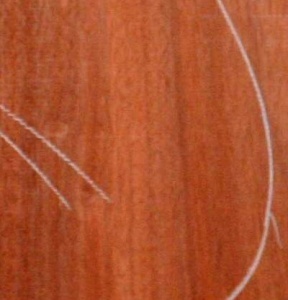 African Padauk is a resonant and naturally stable wood a little less dense than Indian rosewood. It is brick red when fresh cut maturing in time to a dark red brown. 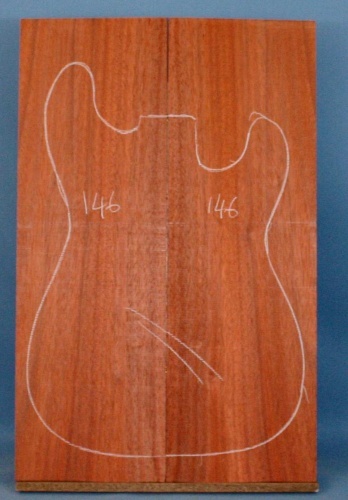 The large pores in the wood require special attention when grain filling if a high gloss finish is desired. Like all good tone woods, padauk boards sing to us as we move them around in the warehouse.